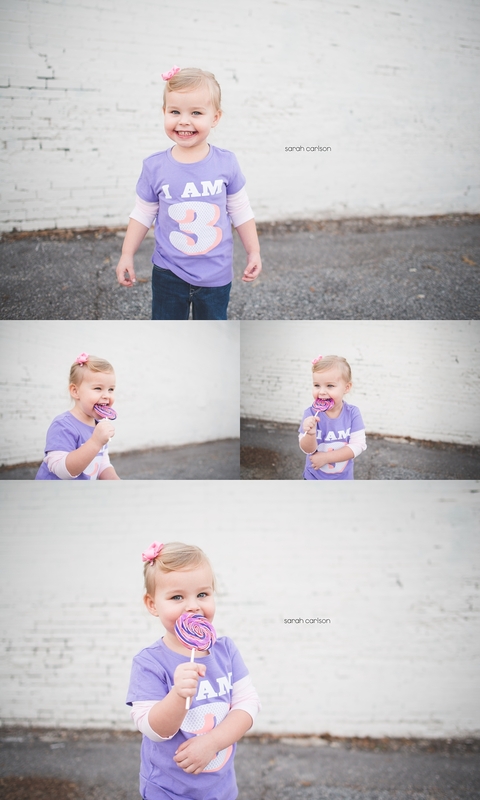 kate is 3 years old! Last Sunday we celebrated your third birthday! You are getting to be such a big girl, and it's hard to know where to start describing your abilities and your personality, especially since the last time I wrote an update was a year ago. You've changed a lot since then! I'll just start typing and hope I cover all the bases. * love to dance and sing and play dress up. It's so fun to watch you play pretend and hear the little conversations you have with your stuffed animals and the replies you make for them. You still love music, and you're very interested in all the different instruments. You are SO into all the Disney Princesses, and you love to play with Duplo blocks and pretend food. You're starting to like puzzles now (yay! ), but honestly, nothing really keeps your attention for very long. * love going to school. School has been so much fun for you this school year! You still go just one day a week. Drop off is always very easy (for you, anyways... Caroline cries when you walk into your room!). I'm so thankful you like going! * are my little Velcro-child. You want to be by my side all of the time and want me right with you. You get it honestly... Mommy was the exact same way. * are a perfectionist. We started noticing this before you were even 2 years old, but we're really seeing it more now. You don't like to be asked to "perform" for others (to do the cute things you do at home), and taking risks and doing new things can be hard for you at times. * have a flair for the dramatic. When you're miffed about something, you cross your arms and "hmmmph! "loudly and repeatedly. You're also a master at making yourself cry. * are very sensitive, and you get your feelings hurt easily. I have to be careful not to make you feel I'm laughing at you. You sometimes say the funniest things, though, and I have to laugh! I promise - I'm just enjoying you! * are cautious. You take a while to warm up around big groups and doing new things. You're also cautious about things like going down slides. * are a busy bee. You started giving up your nap at 2 1/2, and just this week I've finally given in that you're just going to have "room time" instead of "nap time." I was really trying to hang on to that! * potty trained and transitioned to a big girl bed back in October. While the first morning of potty training was incredibly hard (you were being stubborn), you caught on that afternoon, and you "got it" that first day. You are dry all the time... day and night! - You scowl and say, "Are you kidding me?" - "Mommy, don't say 'no' to me. That hurts my feelings." - "My lips are shaking. I need the iPad to make me feel better." - ME: "Kate, can you help me feed Kirby?" KATE: "Oh, okay. I'll be with you in one minute." - At the museum on your bday: "That's from the Ice Age, when Mommy was a little girl." You bring us great joy, sweet Kate. Can't wait to see what adventures THREE holds for you! I just need to document that this was a very difficult photo shoot. You do NOT like when I pull out the camera. I need to give you a good long break from it after this disaster. I'm so glad we had something out of the set!